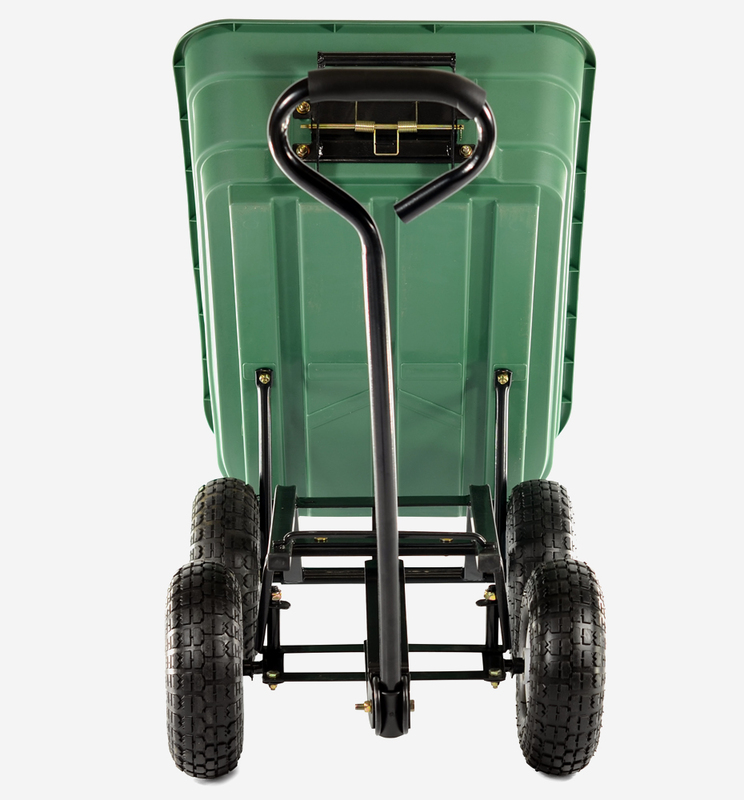 With exceptional performance and style, the Cobra GCT200P tipping hand cart has a 200kg load bearing capacity, has a polypropylene hopper and 4 pneumatic wheels with bearings. 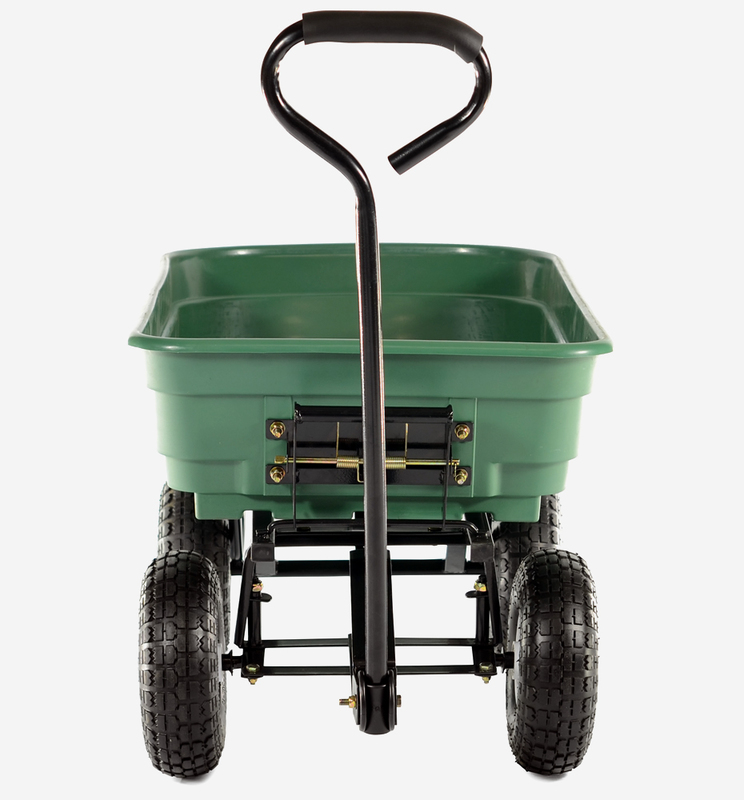 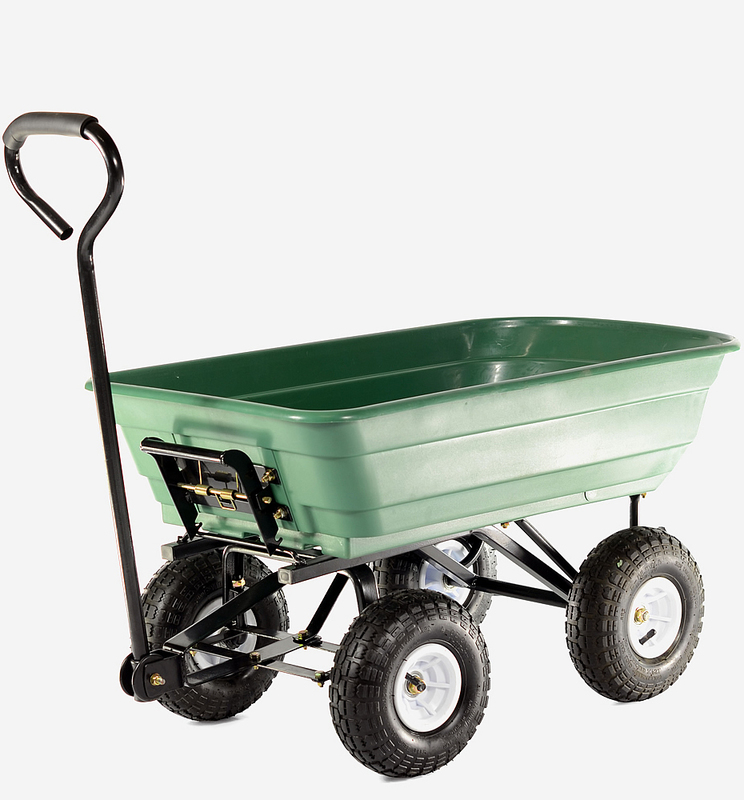 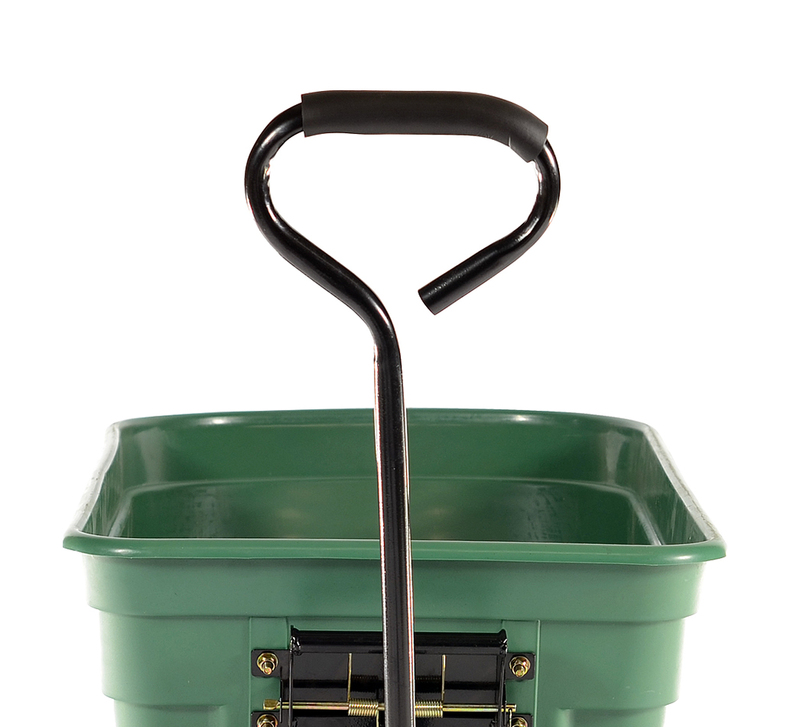 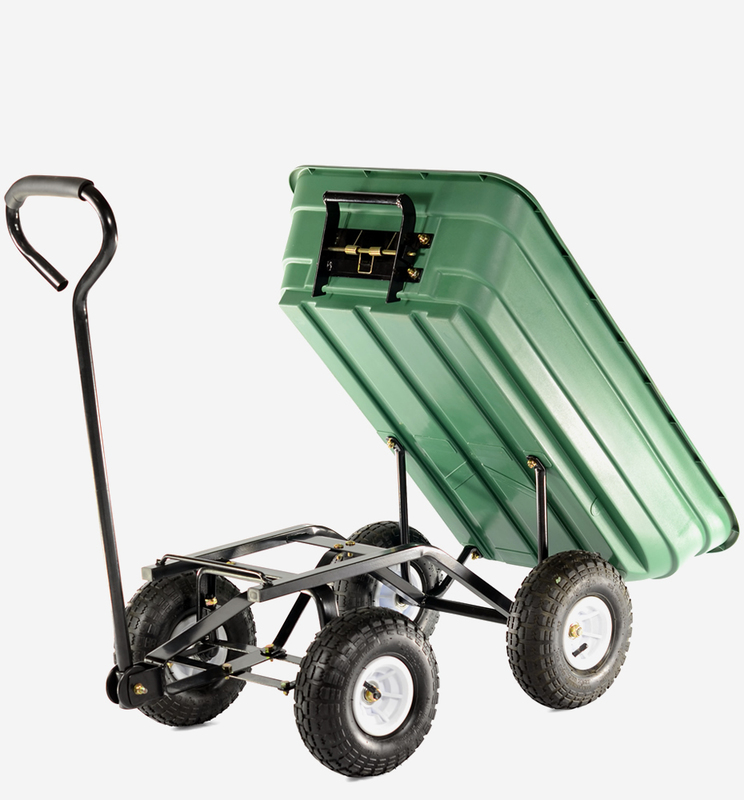 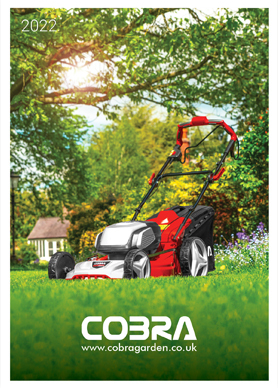 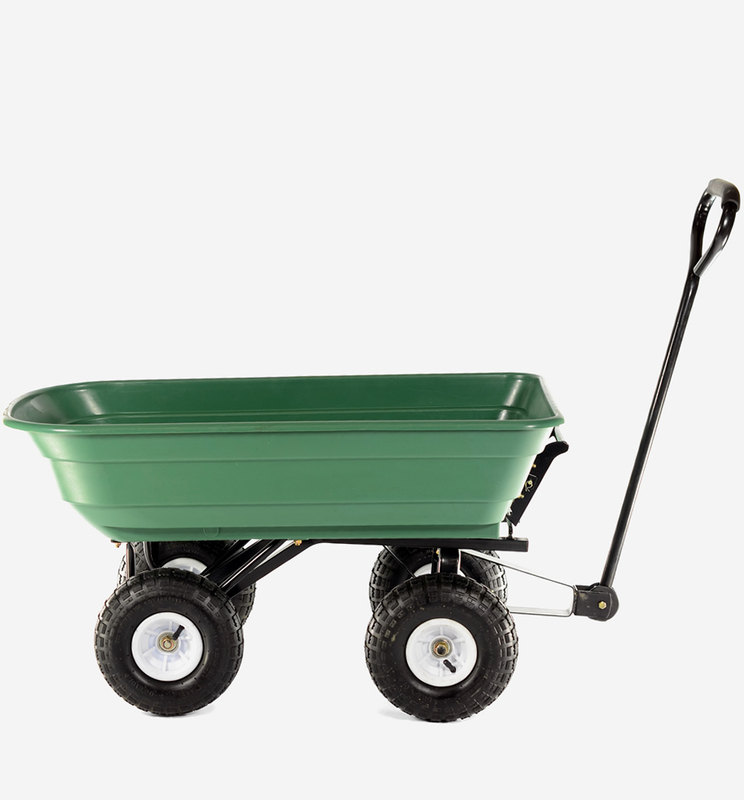 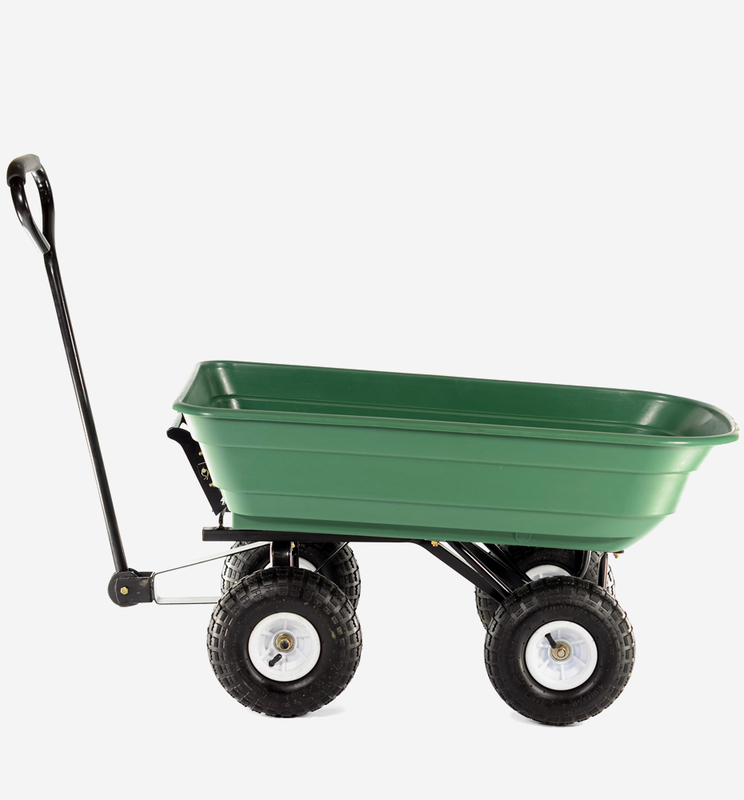 The Cobra GCT200P garden cart with its 200kg capacity is equipped with a tipping function to help you unload. 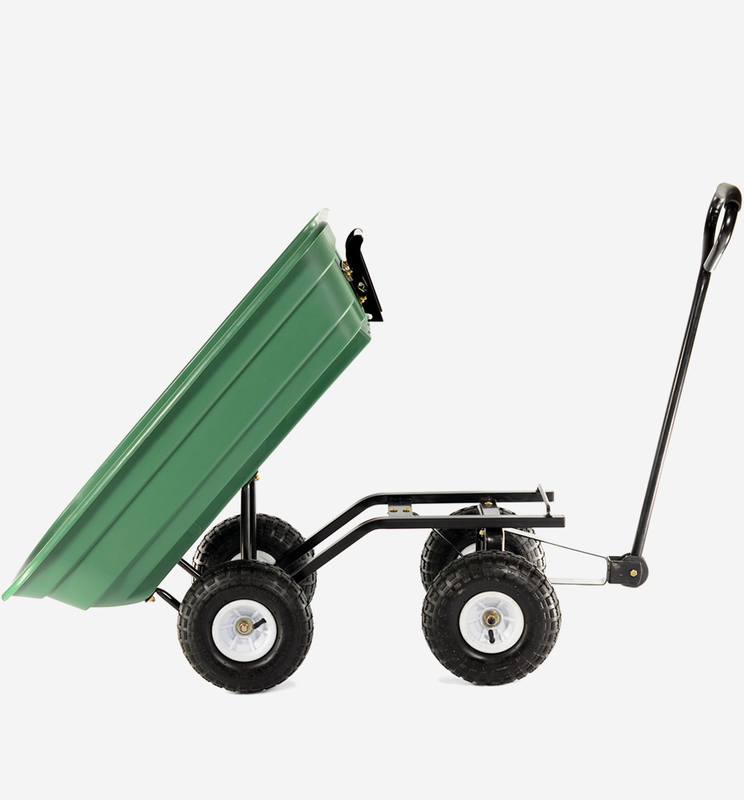 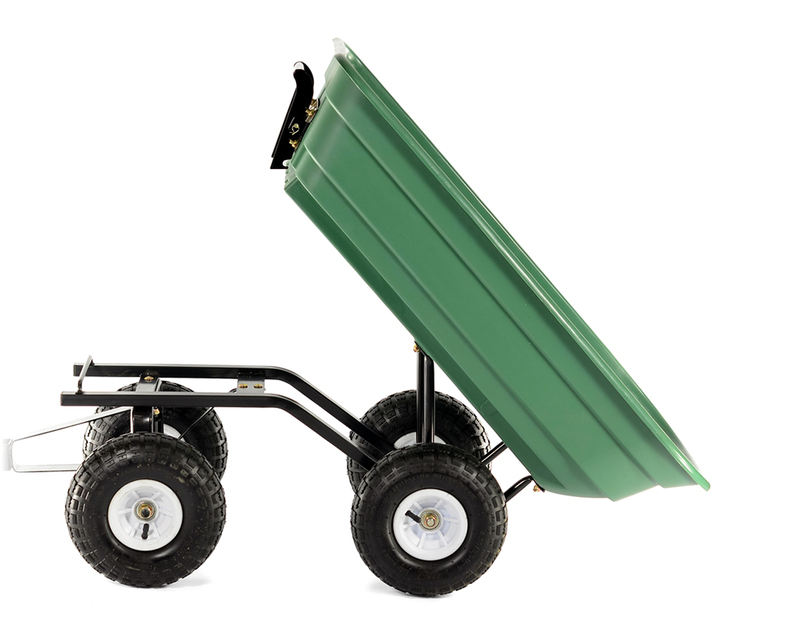 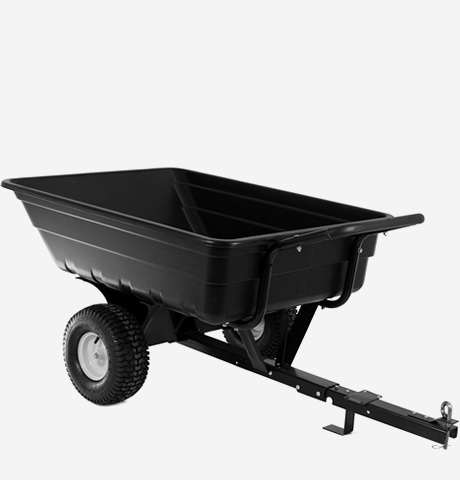 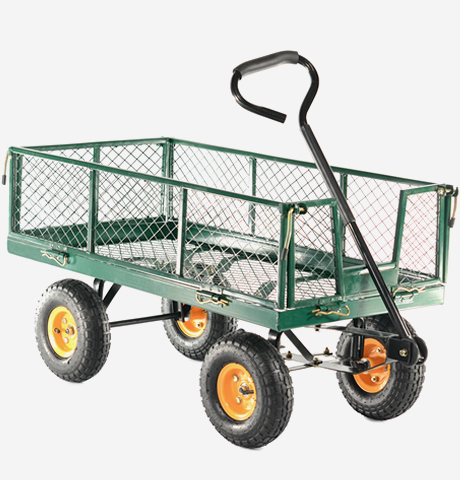 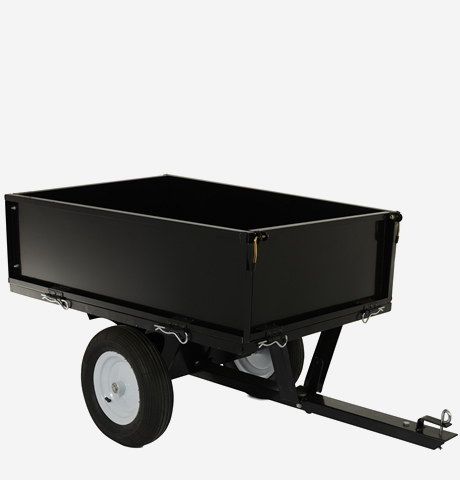 Whether the job is getting rid of garden refuse, hauling firewood, moving sand or dumping gravel Cobra carts will undertake tasks safely, reliably and efficiently for years to come. 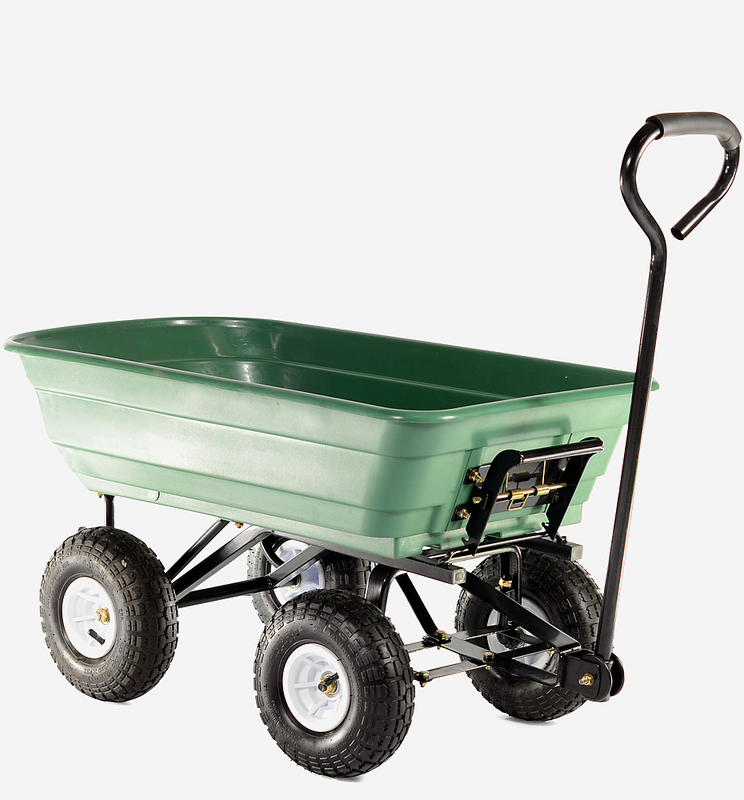 The poly bed is quiet and it resists rust. 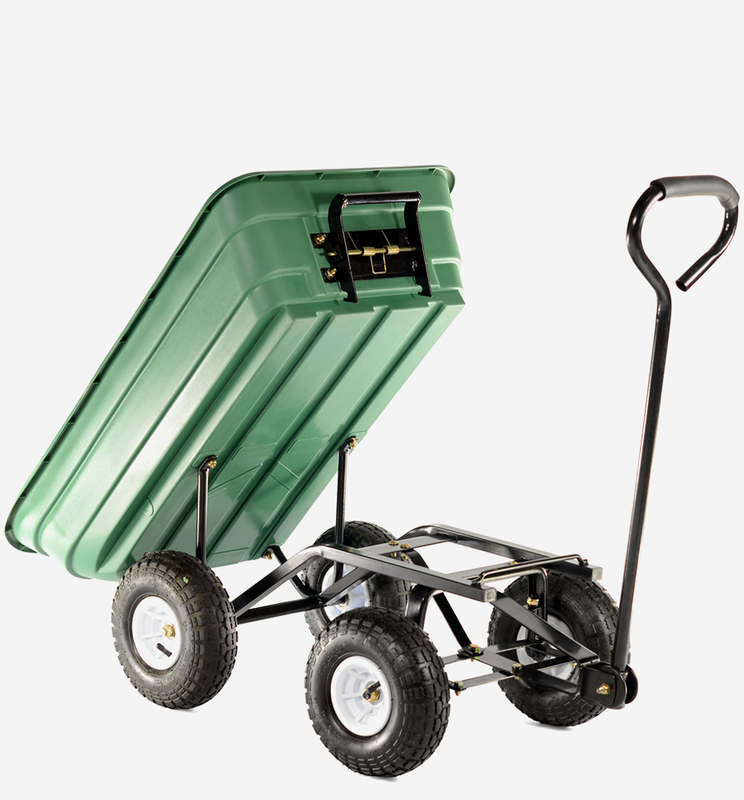 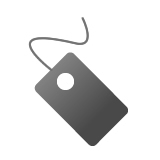 the outer part is made from tough rubber with tyre treads and the second part is an inner tube filled with air placed inside the outer piece. 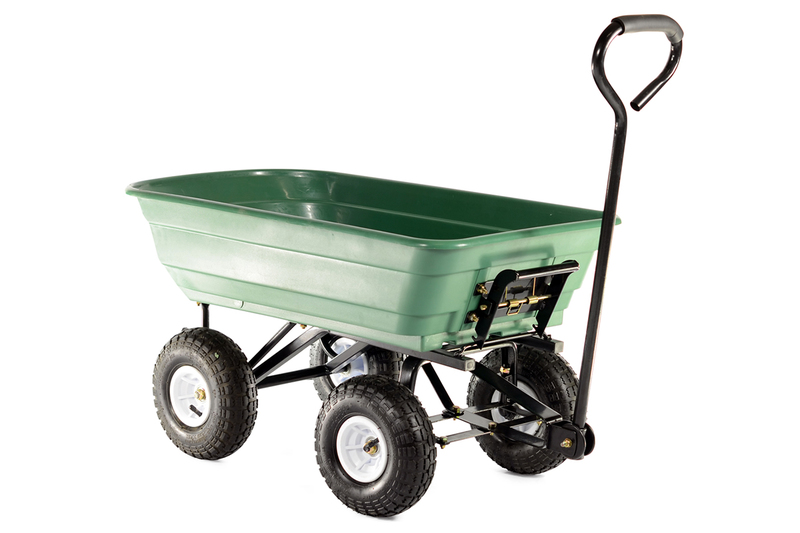 This not only makes the GCT200P easier to handle but is ideal for rough or bumpy terrains, such as outdoors and on gravel. 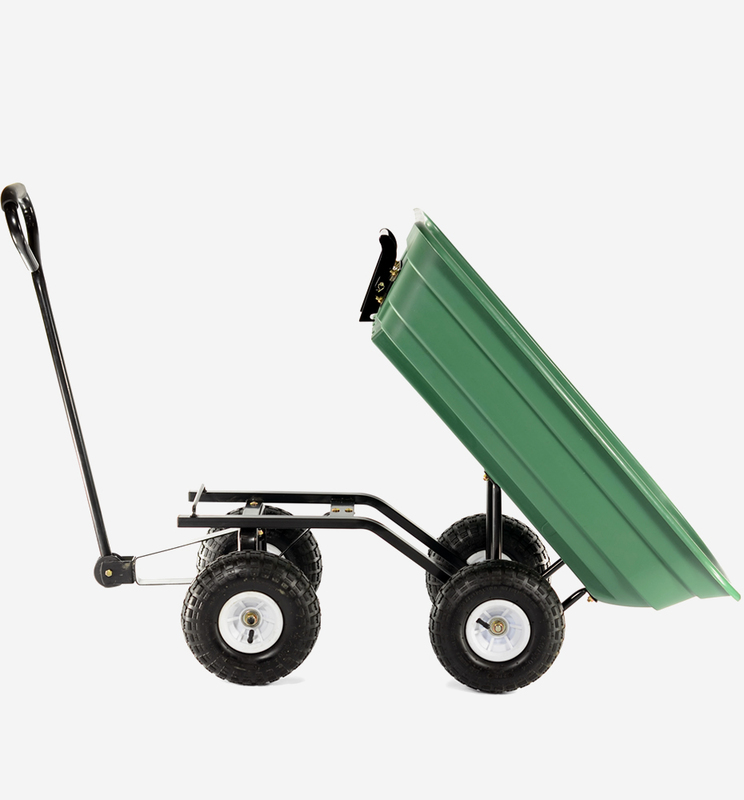 The Cobra GCT200P tipping hand cart comes equipped with 'soft grip' comfort handles to take the stress out of handling your cart.